Our Imperial Shih-Tzu puppies are placed with pet homes on a Spay/Neuter Contract. I have little Love Notes throughout my website and on My Praise P﻿a﻿﻿﻿﻿ge to share what my puppy parents have to say about their Tiny Tot Shih-Tzu! Nothing but pure Excellence where Unsurpassed Quality is Priceless! This is just a note to tell you how stunning and perfect Pico is. I literally can't take him anywhere without being stopped. People comment on his coloring and ask where I got him every single day. Not only is he gorgeous and precious, he's the MOST well behaved dog I think on the planet. He does not need to be walked on a leash, I can control him completely with voice commands. He is always just as sweet as can be. He's such a quiet little being, never barks or whines. He hasn't left my side since I got him, he's the absolute love of my life. Vets tell me I will never be able to find another dog like him, he's one in a million....once in a lifetime, Groomers can't get over how cute and well behaved he is. People just never stop singing his praises. When I am ready for another one, I wouln't dream of looking anywhere else. 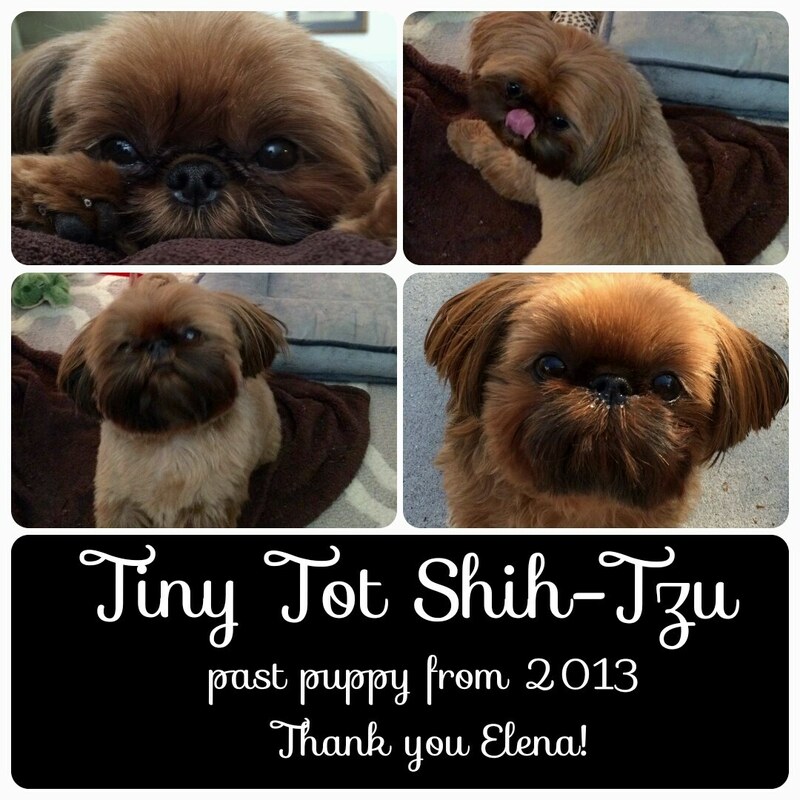 Thank you Tiny Tot Shih-Tzu from the bottom of my heart.